CENAEvery Christmas Eve, hundreds of volunteers gather to bring holiday cheer to thousands of Santa Ana children and their families. CENA (Caring Educators Nourishing All) is an annual tradition here at Santa Ana Unified School District, volunteers from our schools, including teachers, principals, classified staff and their families along with the Santa Ana Public Schools Foundation that provides a Dictionary to each family. 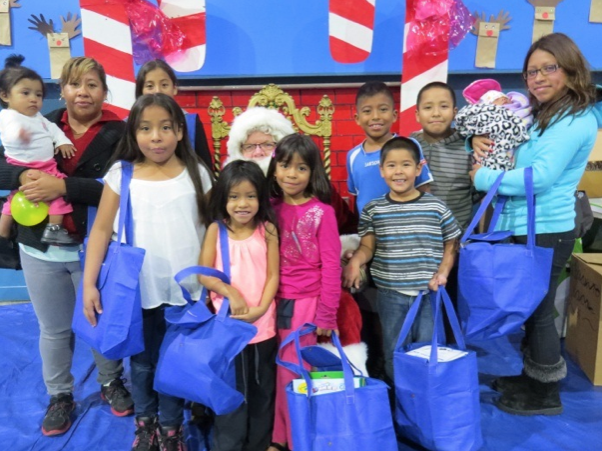 To see the combination of the diverse team and community supporters get together on Christmas Eve to provide our children with toys, books, dictionaries and a visit with Santa and a hot meal for their families. If you would like to contribute to next year’s CENA event please go to DONATE CENA. In the spirit of giving, and believing “it is better to give than receive,” volunteers work tirelessly to bring joy to the lives of others. And when they return home to be spend time with their own families, they feel a bit better about the holidays knowing that they played a role in bringing the joy of Christmas to those most in need. Every Christmas Eve, more than 100 volunteers work tirelessly to provide Christmas to the less fortunate of our families in Santa Ana. 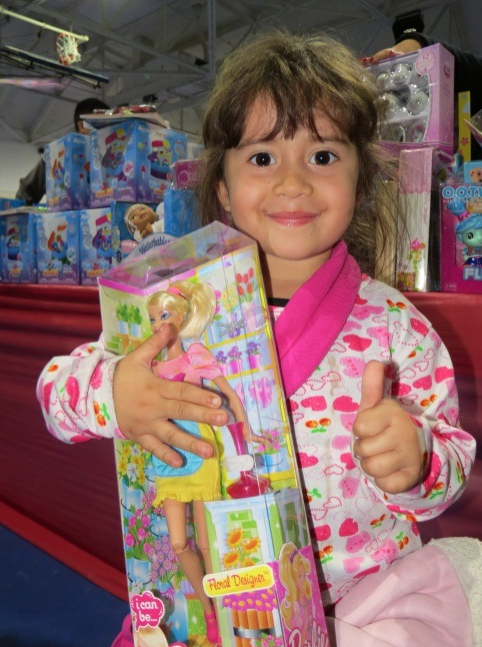 Every child receives a new toy, a dictionary, and a new book of their choosing. The entire family partakes in a warm meal with extra food and fresh produce to take home. Families in Santa Ana, unable to provide a full Christmas for their children, line up as early as the night before Christmas Eve. Over 100 families are already in line by 4:30 a.m.! 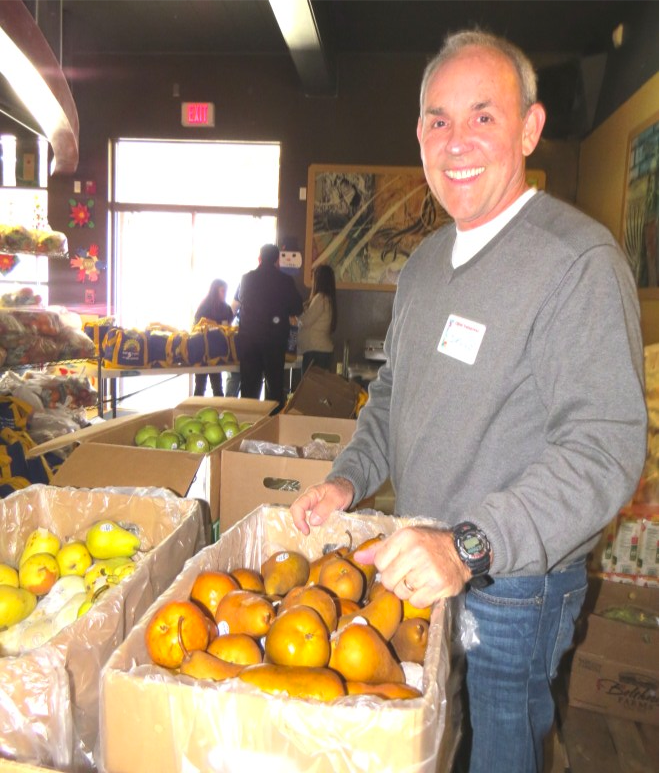 CENA – Caring Educators Nourishing All – began over 25 years ago with school district employees and community volunteers coming together to find a way to provide Christmas to those most in need in the Santa Ana community. Now relocated to Valley High School, CENA has become an annual event for many district employees and their families, as well as school district partners and community members. Christmas, for these volunteers, is not Christmas without participating in CENA. Inside the gym at Valley High School, 1,000 toys and another 1,000 books await our children. Dictionaries, provided by the Santa Ana Public Schools Foundation are also in plentiful supply. Inside the cafeteria, a hot meal and bags of food to take home await our families. 100% of the funding for this event is raised by donations from individuals and businesses. Over 2,000 are served annually. Over $10,000 is raised annually. Over 100 volunteers put in the equivalent of almost 1,000 hours of time. 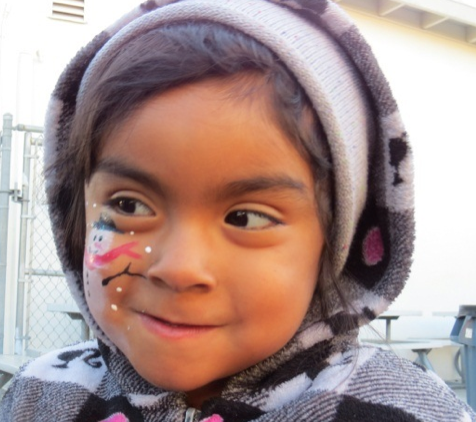 Over 1,000 children walk away with a book, a toy, a meal and a smile.